Imagine this. You go to the grocery with a list of the exact items you want. But when you go in to shop, you discover your store has a new marketing plan. You can get the items you want, but only by purchasing them in a package deal with a bunch of items you don’t want, don’t need and won’t eat. Crazy? Outrageous? Nobody would put up with paying for stuff they won’t use, you say. But isn’t that precisely how cable tv is sold? Take my case. I have about 80 channels, a modest selection of channels. But I doubt I ever watch over half of them. 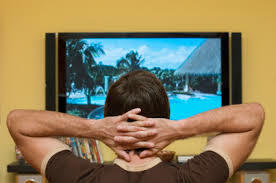 Mostly I’m watching movie channels, CNN, local news, the Weather channel, HGTV, AMC, FX, PBS, and Investigation Discovery. I stray off the beaten path to a few other channels, but there are some channels I never watch, though I’m paying for them. Why does it have to be this way? Why not have a cafeteria system? You select and pay for what you want, and don’t have to pay for what you don’t want. But because of the immense power of the limited number of cable providers, Cox, Comcast, Dish, Direct and AT&T, I predict we’ll continue to be forced to pay for products we don’t want. This is economic tyranny, plain and simple. I’ve been thinking about this, I guess, because I’ve been trying to figure out a way to spend less on cable and internet. In the past year, my monthly bill for these two services has inflated by one-third. I’m now in the process of calling all the major providers in my area to try to figure out a way to lower my costs. I’m not alone in feeling the pain of the cable bill. Last year, the number of cable subscribers declined for the first time since cable came on the scene decades ago. When I first signed up for cable tv, I remember it was $7 a month. Now the monthly bill for my modest plan (the next to smallest tv channel package and the slowest high-speed internet) is more than $160 a month. I know inflation is a fact of life. Everything costs more as time goes on. That’s just the way it is. From gas to candy bars, it all costs about 10 times as much as it did when I was growing up. Yeah, I’m old. But the cost of cable has gone up faster than other things. Where I live, we didn’t get cable until the seventies, so it’s only been around for about 40 years, and in that time, it gone up about 20 fold. That’s runaway inflation. But the heyday of the cable companies may be coming to an end. They may have priced themselves out of the market. The decline in cable customers is because of new competition from systems like HULU, Amazon Fire TV, ROKU, Netflix and the like. They all stream programming off the internet to your TV, and it’s content you choose to watch. No more paying for the BYU channel you never watch. And you watch what you want when you want. not on your provider’s schedule. And after you pay about $50 to $100 to buy the equipment, there’s a lot of free content to access, and if you want to watch a premium pay-for-it program, like a movie, you choose it instead of your cable provider. So I’m looking at those options too. I’d love to tell my cable provider that there’s a new sheriff in town, and he’s gunning for them.